Where the proposed grading is within a designated waterway or designated wetland. Where the total truck roundtrips per calendar day for the grading operation exceeds 10 roundtrips or the cumulative total number of truck trips exceeds 50 truck trips per calendar week. The Building Official, as a ministerial act, may allow more than 10 truck roundtrips per day provided the truck traffic is scheduled to minimize impacts to the public or private streets. (d) within 60 days of completion of the grading, all slopes created or modified are hydromulched with a native plant and an irrigation method sufficient to ensure establishment of such plants. (c) maintenance of existing oilfield facilities. Project Description: The project consists of cut and fill grading, as well as importing operations in order to fill in an existing ravine with certified compacted fill. A graded 2:1 (H:V) will be created along the southern portion and a level pad area at the northern portion of the site. The proposed improvements will be for equestrian purposes. Import operations will allow up to 40 round trip truck trips (maximum) per day, Monday through Friday. The geotechnical report is a tool used to communicate the site conditions and design and construction recommendations for a project site. These types of reports are typically required for any structures such as main residences, guesthouses, additions, barns, detached accessory structures etc. Such reports are also required for most site grading, retaining walls, and hillside construction. Why Does Ventura County Require Geotechnical (Soils) Report Review? The County of Ventura is over 2,200 square miles and with area of that magnitude, the geology and soil conditions can vary vastly. Like most regions of this size, the County has numerous faults, areas of expansive soils, areas with liquefaction, landslide potential and other geological natural hazards. The County of Ventura attempts, through geological/geotechnical review, to ensure that geotechnical design recommendations and plans meet minimum standards and acceptability, in order to reduce the exposure to geologic hazards and the damage resulting from them. Geotechnical review by the County involves thorough review of pertinent geologic and engineering reports, maps and other information to reduce the exposure of a site or structure to such hazards, consistent with accepted standards of the geotechnical profession. Additionally, the State of California requires geotechnical review within mapped seismic (earthquake) zones. The basic responsibility for design remains with the applicant’s consultants.The importance of preparing an adequate geotechnical report cannot be taken lightly. Therefore, the report should be as clear, concise, and accurate. Both an adequate site investigation and a comprehensive geotechnical report are necessary to construct a safe, cost-effective project. Engineers need these reports to conduct an adequate review of geotechnical related features, e.g., earthwork and foundations. Geotechnical Reports must comply with the County of Ventura General Plan, Goals, Policy and Programs as well as provide the information required by the Ventura County Building Code, latest Edition. The following guidelines are provided to assist in the preparation of Geotechnical Reports for Building and Grading Permits. Site Access: How is site Accessed? Site Drainage Conditions and Evidence of Erosion. Geologic Hazards; faults, landslides, liquefaction, subsidence, erosion, rockfall, etc. Existing improvement performance or distress. Adjacent Property; present use or boundary delineation, existing structures, etc. Type of foundation and floor system, including setbacks. Scope of field investigation, date, methods used, sampling methods and type of sample, logs of exploration (boring/test pit, etc. ), elevations of explorations, method of backfilling and future requirements. Data on location and method used for sample collection, both surface and subsurface. Describe the laboratory testing procedures and test results. Provide graphical laboratory test results, and reference laboratory test procedures. Moisture content and dry density for undisturbed samples ASTM. Corrosivity properties; sulfide-sulfate, chlorides, pH, and Resistivity. Other tests to obtain material properties. Foundation type, depth, width, bearing material, installation conditions and allowable loads, lateral pressures, coefficient of friction. Estimated settlement, total, differential and rate. Concrete Slabs, Pavements, Permeable Pavements. For a printable list of the requirements of a Geotechnical Report, Click here. Who Can Prepare a Geotechnical or Geological Report? The preparer of a Geotechnical Report is a registered Civil Engineer or Geotechnical Engineer experienced in geotechnical engineering. The preparer of an Engineering Geologic Report is a Certified Engineering Geologist (CEG). A list of fees or deposits can be found under “Fees & Deposit” section on the Information & Handouts page. The fees associated with a Standalone Soils Report or Geology report review is a nonrefundable processing charge. Fees associated with a Grading Permit plancheck is included in the Grading Permit plancheck deposit. A portion of the deposit is collected to cover charges by the County Geologist. Any balance remaining in a deposit account after all billing is completed is refundable. In cases where the deposit does not cover the actual cost of services, an additional deposit amount will be requested. The Ventura County Watershed Protection District (VCWPD) is looking to clean debris basins shown on this Map in the fall of 2017. The earth material from the debris basins should not have any man made contaminants. If you would like to be considered as a candidate to receive earth materials from these debris basins, we are looking for nearby property owners who could take most if not all of the earth material from one or more debris basins and be close to the location where the removals will be done. The VCWPD may be able to deliver the material to your property for no charge when it is available. You would be required to obtain a grading permit from the Ventura County Public Works Agency for stockpiling the material on your property and then spreading and permanently placing the earth material on your property within 9 months of receiving it. If interested, please contact David Rowe at 805-654-3774 or by email at David.Rowe@Ventura.org and he will go over the details with you. The Public Works Agency, in an effort to help people and businesses with their grading needs, will post on this website a list of projects that have excess dirt available and a list of projects that are in need of dirt in Ventura County. The minimum volume of dirt needed or available that will be posted is 100 cubic yards. A dump truck can hold approximately 7 cubic yards of dirt while a double dump truck can hold 14 cubic yards. 1.Using Google Earth, provide the longitude and latitude of the area where the dirt is located or needed. 2.Provide the name of the property owner and their contact information including email and a phone number. 3.Provide the Tax Assessor Parcel Number(s) of the property. 4.Provide an estimate of the area (square footage or acreage) and the volume of dirt needed or available. 5.Provide the timeframe estimate of when this project will need to start and be completed to the nearest calendar month. 6.Provide a brief reason why you need to move the dirt or need the dirt such as for agricultural purposes, road maintenance, improve site drainage, or to enhance the site for development purposes. The Public Works Agency will review each request and discuss the potential project with the property owner. A grading plan, geotechnical report, and grading permit may be needed. The Public Works agency may discuss with the owner other permitting agencies requirements and their contact information. The Watershed Protection District and the Transportation Department of County of Ventura also has times where excess dirt is available from their projects. If you would like to be a recipient of their dirt, please contact raymond.gutierrez@ventura.org and provide the information in items 1 through 6 above. Joshua Moor has a lot in the unincorporated part of Ventura County just north of Camarillo that will require the export of around 2500 cu yd of primarily Los Posas sand soil for the building of a single family home. APN: 155-0-160-135 at coordinates 34°14’58.9″N 119°02’35.7″W. Joshua’s contact number is 757-816-5976. One of the easiest ministerial grading permits to obtain is called a “Temporary Stockpile Grading Permit.” This grading permit allows the permittee to receive and stockpile soil/dirt on their property. The owner has 9 months to spread and compact the stockpiles into their permanent location. The Public Works Agency (PWA) would need a site plan and location where the stockpiles will be placed. Erosion control is required around the base of each stockpile location. The site plan should include an erosion control plan/details. Stockpiles should be placed a minimum of 20 feet away from a neighbor’s property line and the maximum height should be about 15 feet. The side slopes should not be steeper than 2:1. The Temporary Stockpile Grading Permit will cost $2,125 as a deposit. The recommended area where the stockpiles will be placed should be under one acre otherwise a Storm Water Pollution Control Plan may be required with the State of California Regional Water Quality Control Board. A Civil Engineer is recommended to assist the property owner with erosion control but the property owner could submit such a plan on their own. The daily limit for truck deliveries importing the soil is 10 truck trips per day. Temporary Stockpile Grading Permits can generally be issued within two to five business days upon a complete application submittal. An “Agricultural Grading Permit” can be easy to obtain from the PWA. Earthen reservoirs, detention basins, maintenance roads serving agriculture properties, storm drain pipes 18-inches and larger, earthen berms, slope repair, construction of small check dams under four feet tall, and import/export of soil can be performed with an Agricultural Grading Permit provided the grading and erosion control is done to service or create agriculture crops, orchards, or animal husbandry. The PWA would anticipate that fire damaged agricultural properties would use the Agricultural Grading Permit to protect their properties from severe mud and debris flows. A Civil Engineer will be required to prepare the Agricultural Grading Plan. The Agricultural Grading Permit deposit is $3,100 and covers plan check and inspection. Agricultural Grading Permits can generally be issued within three to five business days upon a complete application submittal. The “Remove and Recompact (R&R) Grading Permit” is for removing at least 50 cubic yards of soil within an area where a building’s foundation will be constructed. The R&R Grading Permit can be for habitable and uninhabitable buildings or structures. Generally there is a soils report prepared by a consultant that requires the soil be removed and recompacted before the building’s foundation is built. The PWA has a template plan sheet for the R&R Grading Permit. A deposit of $1,500 is for the R&R Grading Permit and the cost for a Soils Report Review is $915. A building permit is needed for the building structure and issued by the Building and Safety Division with the Resource Management Agency. If a building was destroyed by fire, it is likely that an R&R Grading Permit could be obtained to remove and recompact the soil where the new structure will be built. R&R Grading Permits can generally be issued within two to five business days upon a complete application submittal. The “Development Grading Permit” is for the site development of property and is required to grade an access road and site improvements (including slope repair) for a permitted land use or building. There are two types of development Grading Permits – traditional and complex engineering. 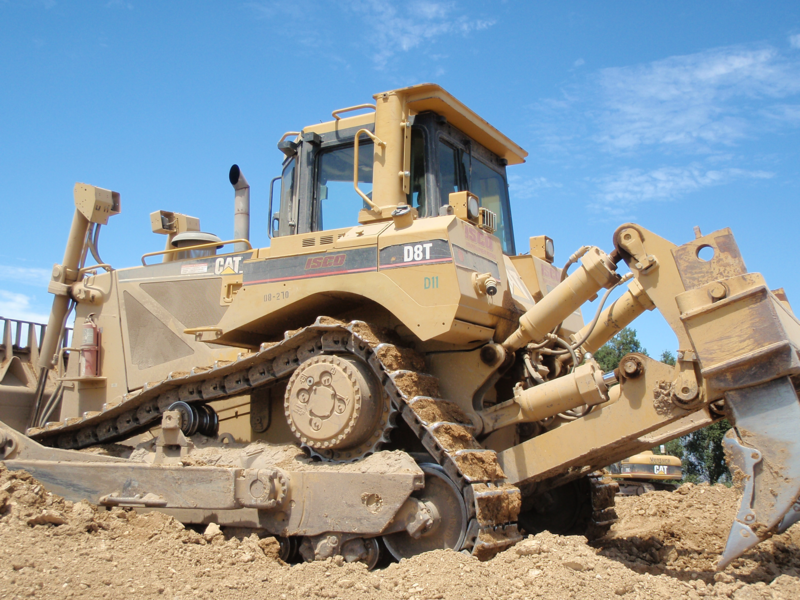 Traditional grading permit is for single lot grading up to 500 cubic yards of earthwork and complex grading permit is for hillside and large grading operations that exceed 500 cubic yards. A property owner/builder can prepare a traditional grading plan while a complex grading plan must be prepared by a Civil Engineer and geotechnical consultant such as a Soils Engineer and/or Engineering Geologist. If the overall disturbed area of grading is more than an acre, a Stormwater Pollution Control Plan approval is required from the California Regional Water Quality Control Board. If a developed property was severely damaged by fire, it is likely that a Development Grading Permit could be obtained to regrade the lot and install erosion control to protect the property from future fire and flood damage. To help expedite these plan reviews it helps if the grading plans are 100% complete. Plan review costs will be lower and the plan check time will be reduced. A geotechnical report is done with these grading plans. Grading Permit deposits vary from $2,134 to $4,370 for plan check and $4,790 to $6,370 for inspection. Monies not expended for plan check are rolled into the inspection deposit. Charges are based on the staff hourly rate charged to perform the plan review and inspections. R&R Grading Permits can be issued within two to five business days upon a complete application submittal. Development Grading Permit generally takes 5 to 10 business days per plan check review. You can also download the Grading Permit Checklist here. † For all fees or deposits see “Fees & Deposit” page under the Information & Handouts page. Any significant amount of Grading within the unicorporated area of Ventura County is required to comply with the Ventura County Building Code Appendix J section. If grading work is performed and does not meet the requirements of the Ventura County Building Code then it may constitute a violation. So what constitutes a violation? Visit our When is a grading permit required? page. Inspectors are visiting active grading permits sites all around the County and will make note of any unusual grading activity when they see it from the public right of way, however, an Inspectors reach is limited to the sites that are readily visible. For areas that inspectors can not see, we depend on the public to help spot and inform the County of any potential violations. If you notice any unusual grading or earthwork that appears to be over 50 Cubic Yards and you suspect a permit was not issued; please fill out and submit a Grading Complaint Form. Ventura County Public Works staff can tell alot from a picture and may be able to determine if a violation has occured, if at all possible, please take pictures and submit them along with your grading complaint. To file a grading complaint, fill out a Grading Complaint Form. Please attach pictures to the form, these pictures are extremely helpful in determing if a violation has occured. Attached is a court order to show cause re preliminary injunction and temporary restraining order issued to Wayne Fishback; Carol Fishback; Celia Reynoso; Celia Miske; Robert’s Trucking, Inc.; Del’s Dumpsters, LLC; Juan Jose Penaloza dba 818 Trucking; and Does 1-600, inclusive, Defendants. How Much is 50 Cubic Yards? A cubic yard is the volume of material which fits in a space one yard wide by one yard deep by one yard high. Cubic yards are typically used to measure earthwork and construction materials. There are 27 cubic feet in one cubic yard (3’ x 3’ x 3’). A standard short-bed pickup (6′ x 4’6″ x 18″) will hold approximately 1.5 cubic yards. The average dump truck can hold 5 cubic yards of dirt. As a general guide the chart below can be used to determine approximately how much is 50 cubic yards and the amount of coverage that can be expected for ONE cubic yard. 1″ Depth 324 Sq. Ft.
2″ Depth 162 Sq. Ft.
3″ Depth 108 Sq. Ft.
4″ Depth 81 Sq. Ft.
5″ Depth 67 Sq. Ft.
6″ Depth 54 Sq. Ft.
7″ Depth 47 Sq. Ft.
8″ Depth 40 Sq. Ft.
9″ Depth 36 Sq. Ft.
10″ Depth 33 Sq. Ft.
11″ Depth 30 Sq. Ft.
12″ Depth 27 Sq. Ft.
14″ Depth 23 Sq. Ft.
16″ Depth 20 Sq. Ft.
18″ Depth 18 Sq. Ft.
20″ Depth 16 Sq. Ft.
22″ Depth 15 Sq. Ft.
24″ Depth 13 Sq. Ft.